Cause the Effect Chicago provides a platform for women to effect change through activism, civic engagement and political giving. Bridget Gainer founded Cause the Effect Chicago, formerly Off the Sidelines Chicago, to bring civically-engaged women together to turn their ideas into action. For the past two years, the locally-focused organization has built a community of more than 3,500 women from across Chicago who are motivated to effect change on the issues that matter to them. She lives in Chicago, IL with her husband and three children. 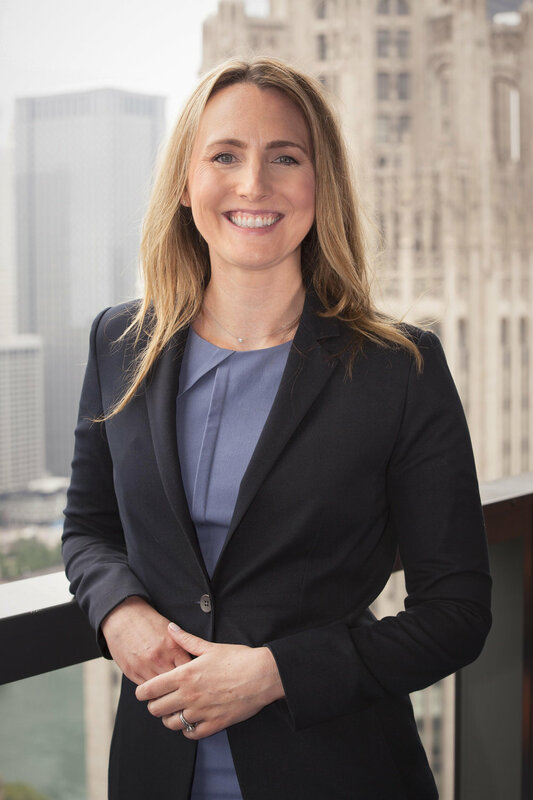 Meghan joined Cause the Effect Chicago, formerly Off the Sidelines Chicago, as its first Executive Director in 2017. She relocated to Chicago after working for Hillary Clinton’s Presidential campaign on Women’s Outreach for the state of Wisconsin. Prior to that, she co-founded the grassroots organization, Milwaukee for Hillary. Meghan is deeply passionate about engaging women through activism and advocacy and remains steadfast in her commitment to electing more women to public office. Meghan began her career in finance, working for a hedge fund and then a private equity consulting firm, with a focus on operations and corporate communications. However, after volunteering with CamFed (Campaign for Female Education), a non-profit that builds schools for girls in rural Africa, she was inspired to transition to the non-profit sector. In 2010, she moved to Belfast, Northern Ireland for a two-year fellowship with PeacePlayers International, a non-profit that uses the game of basketball to bring young people together in conflict/post-conflict areas. Following her work with PeacePlayers, and increasingly interested in economic development as a tool for conflict resolution, she stayed in Northern Ireland to work with NISP CONNECT, a government-funded non-profit organization that supports the development of innovative technologies and start-up companies. Upon returning to the United States, she served as the Director of Communications for Cristo Rey New York High School in Harlem, and then as an communications consultant, primarily serving Cristo Rey Jesuit High School in Milwaukee in preparation for the school’s launch in the summer of 2015 and its inaugural academic year. Meghan is a graduate of Yale University and is on the board of YaleWomen Chicago and the Yale Basketball Association. Meghan is a New Yorker by birth and a Midwesterner by marriage. She lives with her husband in the suburbs of Chicago.